Social Selling means using social networks to discover, listen to and engage prospects with valuable insights to build relationships and achieve your sales goals. It matters because social is where buyers make decisions. 75% of B2B buyers use social media to research vendors (IDC). They are 5 times more likely to engage with a sales professional who provides new insights about their business or industry (LinkedIn). So social selling in its simplest terms just means sharing valuable content. But you can’t just share your own content. That’s self-promotional, and buyers want wider insights. There’s a better way. Find the best external content to educate yourself and your prospects. Filter it as a team. Share with the right people, in the right networks, at the right time. And do it efficiently so you don’t waste time trawling the web. That’s what content curation means, and why it’s the secret sauce of social selling. 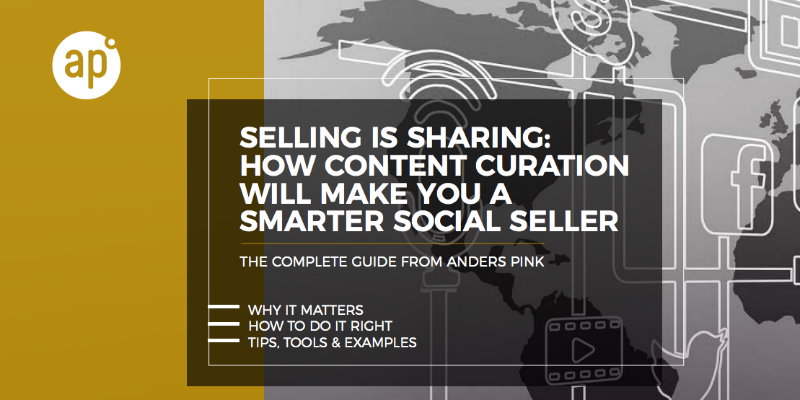 Get started with your content curation for social selling by signing up free to Anders Pink.